Media Release - Aug. 26, 2018: Carson City Symphony Association announces the Joyful Noise Carson Children's Choir will begin Fall Semester rehearsals on Tuesday afternoon, September 4, 2018, at Shepherd of the Sierra Church, 3680 US Highway 395 South in Carson City. Beginning its second year, Joyful Noise Carson Children's Choir, directed by Nancy Jones and accompanied by Liz Hastings, welcomes children ages 4 to 12. The rehearsals will be from 3:30 to 4:30 p.m. The first half hour will cover basic skills for all ages and include learning performance pieces by ear. Children age eight and up will remain for the second half hour and learn to read choral music. Each rehearsal develops students' musical skills, strong singing voices, and joy in music as they prepare for a performance. 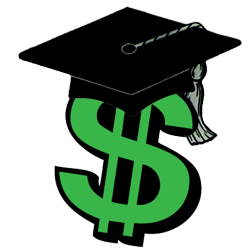 Tuition for the semester is $60 per child, or $45 each for two or more in a family. Jones said, "This choir will give your child the opportunity to learn basic music concepts of rhythm, pitch, dynamics, expression, melody, and performance in cooperation with a small group. The choir will sing a variety of tunes-hymns and folk songs and silly, playful pieces." 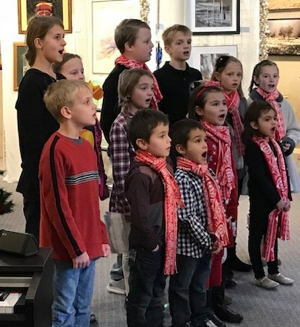 Joyful Noise Carson Children's Choir, an educational program of the Carson City Symphony Association, is supported in part by public funds through a grant from the Nevada Arts Council and the National Endowment for the Arts and by private donations. For more information and registration form, see http://ccsymphony.com/JoyfulNoise.htm, or contact the director at 775-400-1436 or nancy.joyfulnoise@gmail.com. Photo: Joyful Noise Carson Children's Choir in performance at the Nevada Artists Association Gallery last year. Media Release - Aug. 25, 2018: The Carson Chamber Singers, a performing group of the Carson City Symphony Association, will begin rehearsals on Tuesday, September 11, for fall concerts. Rehearsals are Tuesdays at 6:30 p.m. under the direction of Michael Langham at the Choral Room in Carson High School, 1111 N. Saliman Road in Carson City. The first concert, "Choral Masterpieces," includes works by Schubert, Handel, Randall Thompson, and Gabriel FaurŽ. Also, it honors the birth of one of the first American conductors to receive worldwide acclaim, Leonard Bernstein, in his 100th anniversary year. Now beginning its 34th season, Carson Chamber Singers is open to high-school age and above. Director Michael Langham said, "We have specific openings for men - tenors and basses, but all are welcome to apply to join." For more information, contact the director at ccsingersdirector@gmail.com or call the Symphony at 775-883-4154. Carson Chamber Singers is supported in part by public funds through a grant from the Nevada Arts Council and the National Endowment for the Arts, and by private donations. Participation is free. Photo: Carson Chamber Singers, May 2018. The Carson City Symphony Association announces the third annual instrumental music scholarship for Carson City students age 5 to 17. The scholarship was established by a generous gift from Jennifer and John Webley in memory of Rosemary Nebesky, former board member and friend of the Carson City Symphony Association. Application form can by downloaded from the Symphony website, CCSymphony.com, and may be available from school music teachers. Completed applications and supporting documents will be accepted by the Symphony at P.O. Box 2001, Carson City, NV 89702-2001, and must be received by Tuesday, November 20. For more information, contact the Symphony at 775-883-4154. Harmonica soloists Jiayi He and Tom Stryker will be presenting a residency event at Eagle Valley Middle School on Thursday, Oct. 19. 2018. The event is not open to the public. They will work with students and present information about several types of harmonicas and demostrate how they work. David Bugli, conductor of the Carson City Symphony and a recent harmonica learner, will be assisting the presenters. A number of diatonic harmonicas will be presented to students, courtesy of the Hohner company. This residency is sponsored through an Artists in Residence Express (AREx) grant from the Nevada Arts Council. Jiayi He and Tom Stryker will be performing with the Carson City Symphony on Sunday, Oct. 21, at 4:00 p.m. at the Carson City Community Center. The Carson City Symphony, directed by David Bugli, will open its 35th season on Sunday, October 21, 2018, at 4:00 p.m., with a Harmonica Gala concert at the Carson City Community Center's Bob Boldrick Theater, 851 E. William Street in Carson City. The concert features guest harmonica soloists Jiayi He and Tom Stryker. Tickets are $15 general admission; $12 for seniors, students, and Symphony Association members; and free for youth age 18 and under. Tickets are on sale at the Nevada Day Office, 716 N. Carson St., online at CCSymphony.com, or at the door. Season tickets at discounted prices are available from the Symphony at 775-883-4154. The program includes music by Verdi, Smetana, Arthur Benjamin, John Barnes Chance, and others. Pre-show entertainment by the Aria 51 trio begins at 3:00 p.m. in the lobby, a Meet-the-Soloists concert preview begins at 3:15 p.m. in the Sierra Room, and a dinner reception follows the concert. The preview, hosted by Conductor David Bugli, will include discussions with the soloists about the concert, composers, and music. For reception information and reservations, call the Symphony at 775-883-4154 by Wed., October 17. Originally from China and now residing in New York, Jiayi He has received numerous awards in international competitions, and has soloed with orchestras in the US and China, and recorded for movies, radio stations, and CDs. Tom Stryker has performed throughout the world with harmonica ensembles, orchestras, and jazz bands, and is past president of SPAH, the Society for the Preservation and Advancement of the Harmonica. The concert is part of Daniel Pearl World Music Days, an annual global event affirming the ideals of tolerance, friendship, and shared humanity, inspired by the life and work of journalist and musician Daniel Pearl. It also celebrates National Arts and Humanities Month, a coast-to-coast collective celebration of culture in America. Carson City Symphony is a community orchestra of about 60 players who perform music from the 15th to the 21st centuries. The 2018-19 concert season is supported with public funding through the Nevada Arts Council and the National Endowment for the Arts. 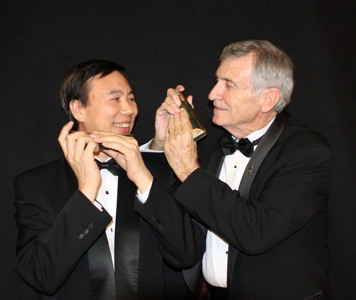 Photo: Jazz harmonica player Tom Stryker and classical harmonica virtuoso Jiayi He will perform with the Symphony on October 21. Carson Chamber Singers, conducted by Michael Langham, will present its 2018 Fall Concerts on Friday, November 2, at 7:30 p.m. at Shepherd of the Sierra, 3680 US Highway 395 South in Carson City and on Saturday, November 3, at 6:30 p.m. at St. Mary's in the Mountains, 111 S. E Street in Virginia City. The program, Choral Masterworks, includes music by Pachelbel, Handel, William Billings, and Randall Thompson. The centerpiece of the concert will be the exquisite Mass in C Major, D. 452, by Franz Schubert, with chamber orchestra and soloists Jana Whitson, Laura Antinoro, Jenice Provost, Laura Hale, and Jonathan Rabben. Highlights of the program are Cantique de Jean Racine by Gabriel FaurŽ, which features harp accompaniment, and "Make our Garden Grow," from Candide, in honor of the 100th anniversary of the birth of Leonard Bernstein. General admission tickets are $10, available online at CCSymphony.com; at the Nevada Day Office, 716 N. Carson St., Carson City; and at the door. Youth ages 18 and under are admitted free. 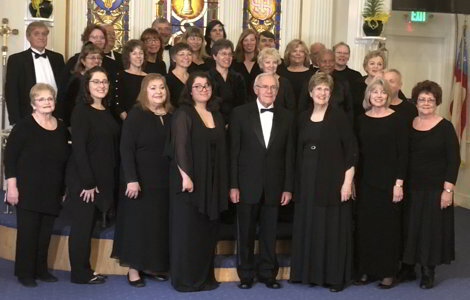 Founded in 1985 as a performing group of the Carson City Symphony Association, the Carson Chamber Singers have been conducted by Michael Langham since 2012. They have sung at several venues in Northern Nevada and in California as far as Sacramento, and sang for the 99th National American Legion Convention in Reno. The Carson Chamber Singers and the Symphony Chorus, a larger group open to all singers high-school age and above who want to sing with an orchestra, rehearse on Tuesday evenings at the Carson High School Choral Room. For information about joining the choral groups, call the Symphony Association at 775-883-4154 or see CCSymphony.com/ccsingers.htm. Concerts are supported in part by public funds through a grant from the Nevada Arts Council and the National Endowment for the Arts, and by private donations. Photo: Carson Chamber Singers to perform Choral Masterworks in Carson City and Virginia City. Media Release - Nov. 6, 2018: The Carson City Symphony Chorus, a performing group of the Carson City Symphony Association, is beginning rehearsals for the December 9 Holiday Treat Concert. Rehearsals are Tuesdays at 6:30 p.m. under the direction of Michael Langham at the Choral Room in Carson High School, 1111 N. Saliman Road, in Carson City. The Carson City Symphony Chorus is an expansion of the Carson Chamber Singers, now in its 34th year. The Chorus is open to all singers, high-school age and above. Director Michael Langham said, "We have specific openings for men - tenors and basses, but all are welcome to join." For more information, contact the director at ccsingersdirector@gmail.com or call the Symphony at 775-883-4154. The Carson City Symphony's Youth Strings will present its fall concert on Thursday, Nov. 29, 2018, at 6:30 p.m. at the Carson City Community Center. Symphony Youth Strings (formerly Strings in the Schools), Carson City Symphony's comprehensive program of string instruction, inspired by the teachings of Kato Havas, creator and author of The New Approach to Violin Playing, provides free beginning violin lessons for students grades 2-5 and ensemble/orchestra experience for all interested string students in the Carson City School District. Tuition and books are subsidized by the Carson City Symphony Association. The instruction is guided by Sue Jesch, Carson City Symphony's Education Director and former Concertmaster, who is assisted by Laura Gibson, Carson City Symphony Associate Concertmaster, and Lou Groffman, principal cellist of the Symphony. Joyful Noise Carson Children's Choir will be presenting two performances this holiday season. The first will be Friday, Nov. 30, 2018, at 6:30 p.m. at Shepherd of the Sierra Lutheran Church in Carson City (near Best Buy, south of Topsy Lane). Consort Canzona, under the direction of Gary Schwartz, presents a pair of concerts, "A Handful of Handel," on Saturday, Dec. 1, and Sunday, Dec. 2, at Shepherd of the Sierra Lutheran Church in Carson City (near Best Buy, south of Topsy Lane). The Saturday concert is at 7:00 p.m. and the Sunday concert is at 4:00 p.m. Admission to both concerts is free. The public is reassured that the Handel works are NOT from "Messiah." Other composers on the program are Claude Gervaise, Michael Praetorius, Pierre-Francisque Caroubel, and Giovanni Pierluigi da Palestrina. Consort Canzona is a performing group of the Carson City Symphony Association. The concert is supported in part by public funds through a grant from the Nevada Arts Council and the National Endowment for the Arts, and by private donations. 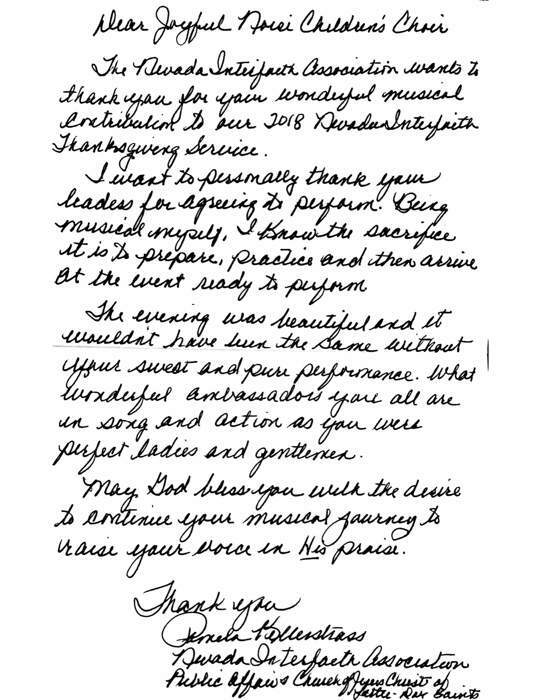 We received applications from several outstanding student musicians. The winners were announced at the Dec. 9, 2018, Holiday Treat Concert. It's a Holiday Treat for all - a feast of seasonal and holiday entertainment in many styles! The Carson City Symphony presents the 35th annual Holiday Treat concert on Sunday, December 9, 2018, 4:00 p.m., at the Bob Boldrick Theater in the Carson City Community Center, 851 E. William Street. Treat your whole family: tickets are $15 general admission; $12 for seniors, students, and Symphony Association members; and free age 18 and under. Tickets are available in advance at the Nevada Day Store, 716 N. Carson Street; online at CCSymphony.com; and at the door. The Symphony will be joined on the program by the Carson City Symphony Chorus and the Victorian Dancers. Pre-concert entertainment by Emma Rosen and Eleanor Sturm - members of the Reno Philharmonic Youth Orchestra and Carson City Symphony's advanced ensemble, STRAZZ - begins at 3:00 p.m. in the lobby. They will play holiday duets. Raffle tickets for an amethyst necklace will be on sale to benefit the RPYO for their trip to perform at the Walt Disney Concert Hall in Los Angeles. The Carson City Symphony, conducted by Music Director-Conductor David Bugli, will perform several works, including "Winter Wonderland," Brahms' "Variations on a Christmas Carol," "Channukah March," and a surprising new arrangement of "The Little Drummer Boy" by Symphony clarinetist Jim Stanley. The Carson City Symphony Chorus, directed by Michael Langham, will sing "All is Well," "Carol of the Bells," Deck the Halls," and more. The Victorian Dancers, choreographed by Tiffany Alm and directed by Sonja Radig, will whirl and swirl to the sound of Johann Strauss Sr.'s "Radetzky March" and Johann Strauss Jr.'s "Roses from the South" Waltz. Performers and audience will join together for the traditional Holiday Treat finale, A Christmas Singalong. This concert is supported, in part, by public funds through a grant from the Carson City Cultural Commission; the Nevada Arts Council, a state agency, and the National Endowment for the Arts, a federal agency, and by private donations. 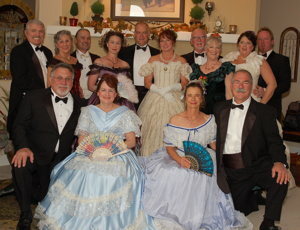 Photo: Victorian Dancers will perform at Holiday Treat concert December 9. The Not Quite Ready for Carnegie Hall Players (NQR) performs at Carson City Senior Center on Thursday, Dec. 13, 2018, at 11:00 a.m. The "Not Quite Ready for Carnegie Hall Players" is the creation of Carson City Symphony Education Director and former Concertmaster Sue Jesch. Each week, a group of adult musicians, some of them beginners, get together to play music at the Carson City Senior Center. The group meets Thursdays at 10:00 a.m. The primary purpose of this is to give adult musicians who may not be ready for a regular adult orchestra, such as the Carson City Symphony, an opportunity to play and enjoy easy music. The group has performed at assisted living events, and many of the members participate in the annual Christmas Carol Play-along for Strings each December in Carson Mall (see Dec. 21 event). 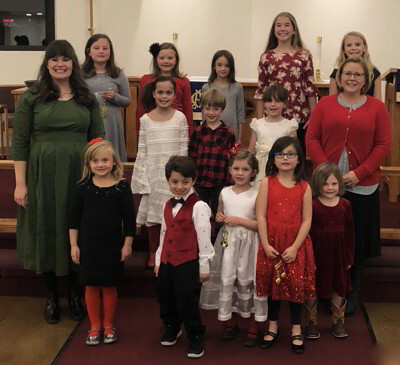 The Joyful Noise Carson Children's Choir perform on Thursday, Dec. 13, 2018, at 7:00 p.m. at the Carson City Seventh Day Adventist Church & Food Pantry, 405 College Parkway, Carson City, NV. Joyful Noise Carson Children's Choir became an affiliate of the Carson City Symphony Association in fall 2017. This choir gives children the opportunity to develop their voices and learn music concepts of rhythm, pitch, expression, and performance in a small group. 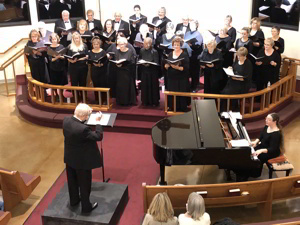 The Joyful Noise choir sings a variety of tunes - hymns, folk songs, and silly, playful pieces. No musical background is required, and all children are welcome to participate. Choir members learn musicality and performance skills through the joy of singing with a choir. For kids ages 4 through 12 in Carson City, Carson Valley areas. Information about the group can be found on the Association's website at http://ccsymphony.com/JoyfulNoise.htm. Find information about the group on Facebook at https://www.facebook.com/Joyfulnoisekidschoir. STRAZZ, the advanced group from Carson City Symphony's Symphony Youth Strings program, play for the entertainment of shoppers at Trader Joe's, on Topsy Lane in Carson City on Sunday, Dec. 16, 2018, at 4:00 p.m. Come out and enjoy this free entertainment. String players are invited to join the 11th annual Christmas Carol Playalong at the Carson Mall on Fri, Dec. 21, 2018, at 3:00 p.m. For registration and sheet music, contact Sue Jesch at 775-450-5584 or sue@tahoefiddler.com. Come and listen or come and play. Carson City Symphony Association events are supported by the Nevada Arts Council and the National Endowment for the Arts, and by private donations. 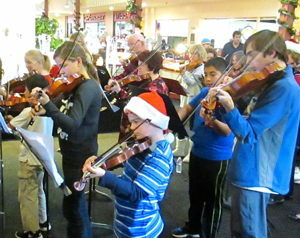 Attached Photo: String instrument players of all ages at a previous Christmas Carol Playalong at Carson Mall. Media Release - Dec. 11, 2018: Ashlyn Parnham, Diana Banuelos Ibarra, and Jasmine Wong-Fortunato were awarded the third annual Rosemary Nebesky Memorial Scholarships by the Carson City Symphony Association this month. The scholarship was established by John and Jennifer Webley of Santa Rosa, Calif., in memory Rosemary Nebesky, who loved music, loved children, and had been a friend and board member of the Carson City Symphony Association. It is awarded each year to one or more Carson City students age 5 to 17 for instrumental music lessons. The winners this year were selected from several applicants. Ashlyn Parnham, 16, is a sophomore at Carson High, where she plays in four bands on different instruments. Clarinet is her main instrument and this year she added alto clarinet in concert band, and tenor sax in jazz ensemble. Ashlyn plans to teach music. She has attended the Lake Tahoe Music Camp the past two years, and will use her scholarship to attend again this summer of 2019. Diana Banuelos is a 13-year-old student who lives in Dayton, NV, where they do not have a string program in the schools. She studies violin in Carson City with Lissette Rivas. Diana said, "All my life I've wanted to play violin. I started lessons almost a year ago and it's been really great." Through violin, Diana has met new people, explored the music world, and become closer to family members who play instruments. Diana will use her scholarship to continue her violin lessons. Jasmine Wong-Fortunato, 15, a ninth grader at Carson High School, plays in three bands on different instruments in each. She also plays in three community groups: Carson City Symphony, Carson Valley Pops Orchestra, and Capital City Community Band. A second time winner, Jasmine plans to make music education her career and will use the scholarship to continue private lessons on bassoon. The next round of scholarships will be awarded in fall of 2019. For more information about the scholarship and the application process, contact the Symphony at 775-883-4154. Media Release - Jan. 7, 2019 (updated 1/21/19): The Carson Chamber Singers, a performing group of the Carson City Symphony Association, will begin weekly rehearsals on Tuesday, January 22, for spring concerts. Rehearsals are Tuesdays at 6:30 p.m. under the direction of Michael Langham at the Choral Room, second floor, Carson High School, 1111 N. Saliman Road in Carson City. The Carson Chamber Singers, now in its 34th season, is open to all singers, high-school age and above. Director Michael Langham said, "We have a specific call for tenor and basses, but auditions are available for all sections." For more information, contact the director at ccsingersdirector@gmail.com or call the Symphony at 775-883-4154. Note: Initial media release indicated that first rehearsal would be Jan. 15, but rehearsal was cancelled due to winter storm. Attached photo: Carson Chamber Singers begin rehearsals January 22. Photo is from May 2018 concert. Media Release - January 22, 2019: Carson City Symphony Association announces the Joyful Noise Carson Children's Choir will begin Spring Semester rehearsals on Tuesday afternoon, January 22, 2019, 3:45 to 4:45 p.m., at Shepherd of the Sierra Church, 3680 US Highway 395 South in Carson City. Registrations will be accepted until January 29. Now in its second year, Joyful Noise Carson Children's Choir, directed by Nancy Jones and accompanied by Liz Hastings, welcomes children ages 4 to 12. Tuition for the semester is $60 per child, or $45 each for two or more in a family. Scholarships are available. Each rehearsal develops students' musical skills, strong singing voices, and joy in music. They will learn basic skills, performance pieces, and reading choral music as they prepare for performance. A highlight of the spring semester is a concert, "Music is for Life," on Thursday, April 25, with the Carson City Symphony Youth Strings at the newly renovated Carson City Community Center Theater. Jones said, "This choir will give your child the opportunity to learn basic music concepts of rhythm, pitch, dynamics, expression, melody, and performance in cooperation with a small group. The choir sings a variety of tunes-hymns and folk songs and silly, playful pieces." Attached photo: Joyful Noise Carson Children's Choir in performance in late November 2018. 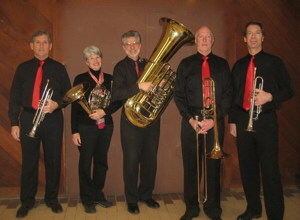 The Zephyrus Brass Quintet, an affiliate of the Carson City Symphony, will play for the Wine Walk on Saturday, Feb. 2, 2019, from 2:00 to 4:00 p.m. in the Expresso Yourself Café in the main Brewery Arts Center building, 449 W. King St., Carson City. Come and listen for free. The group is representing the Carson City Arts & Culture Coalition, which will be hosting it's wine-tasting table in the Nevada Artists Assoc. Gallery, also in the same building. The members of the group are Bob Masters and Alan Catron on trumpets, Lin Nelson on horn, Paul Jorgensen on trombone, and David Bugli on tuba. The Wine Walk is on the first Saturday of each month from 1:00 to 5:00 p.m. For information about the Wine Walk, see www.downtowncarson.org. The Silver Strings perform for the grand reopening Gala for the Carson City Community Center's Bob Boldrick Theater on Tuesday, Feb. 12, 2019. The event celebrates the renovation of the theater with new seating and other improvements to the performance area. The black-tie event is coordinated by the Carson Chamber of Commerce, and tickets cost $50 each. (Update: The event is sold out!) The event includes a Cocktail Reception at 6:30, the Ribbon Cutting at 7:45, and a Special Performance by Western Nevada Musical Theater Company at 8:00. 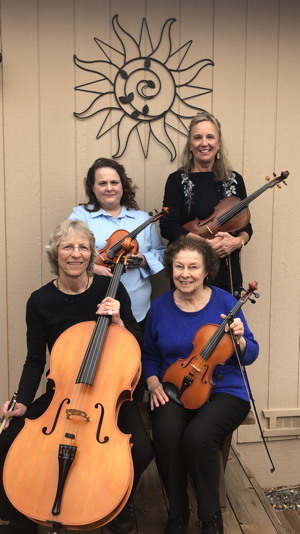 The Silver Strings is composed of members of the Carson City Symphony: Catherine Park and Ellie Bugli on violins, Teri Howley-Barbera on viola, and Becky Crowe on cello. They said, "The Symphony performs at the Community Center, and we are honored to be part of the Gala and to see the theater and lobby renewed." Celebrating its 35th season, the Carson City Symphony, directed by David Bugli, will perform its 200th concert, "Balance & Nature," on Sunday, February 24, 2019, at the Carson City Community Center's newly refurbished Bob Boldrick Theater, 851 E. William Street in Carson City. Featured guest soloist, saxophonist Rhett Bender, will perform the premiere of the orchestral version of Duality for alto saxophone and orchestra by Carleton Macy. The composer will attend the concert, which also includes Verdi's Nabucco Overture, and Beethoven's Symphony No. 6 (Pastorale). Tickets are $15 general admission; $12 for seniors, students, and Symphony Association members; and free for youth age 18 and under. Tickets are on sale at the Nevada Day Office, 716 N. Carson St., online at CCSymphony.com, or at the door (cash or check only). Pre-show entertainment by the Da Capa duo - Susan Cross-Stanley, flute, and Jim Stanley, clarinet - begins at 3:00 p.m. in the lobby. A Concert Preview begins at 3:15 p.m. in the Sierra Room. The preview, hosted by Conductor David Bugli, will include discussions with soloist Rhett Bender and composer Carleton Macy about the concert, composers, and music. A dinner reception follows the concert. For information and reservations, call the Symphony at 775-883-4154. Dr. Rhett Bender is a Professor of Music at Southern Oregon University Performing Arts, where he teaches saxophone, clarinet, and chamber music. 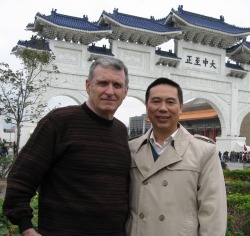 He performs and teaches throughout the U.S. and in Chengdu, China. In the summers Bender is the Director of the Ashland Chamber Music Workshop and the Siskiyou Saxophone Workshop. 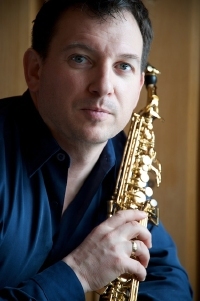 He is a founding member and soprano saxophonist with the Mazama Quartet and Globe Saxophone Quartet and is the Conductor of the Cascade Clarinet Consort and the Siskiyou Saxophone Orchestra. His website is at http://saxophone.sou.edu. The February 24 "Balance & Nature" concert will be Bender's second as soloist with Carson City Symphony. Carleton Macy, Professor Emeritus of Music at Macalester College in Minnesota, is a composer, performs on several instruments, and has an active interest in non-Western music. 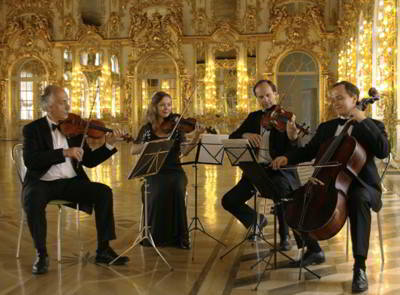 His compositions have been performed throughout the United States, and in Europe and Asia. He wrote Duality originally for saxophone and wind ensemble, and dedicated the work to Rhett Bender. The Symphony's 2018-19 concert season is supported, in part, with public funding through the Nevada Arts Council and the National Endowment for the Arts. The concert preview is funded in part by Nevada Humanities and the National Endowment for the Humanities. A Dinner Reception after the "Balance & Nature" Concert on Sunday, Feb. 24, will be in the banquet room at the new Basque restaurant in Carson City - the Martin Hotel, 308 N. Curry Street. It will be a buffet including salad, beans, vegetable, chicken, tri-tip, fish, (vegetarian pasta entree on request), bread, dessert, soft drinks, and wine. All inclusive price is $25, including tip. Audience members are invited to attend, along with orchestra members. Reservations must be made with the Symphony by Wednesday, Feb. 20. Audience members and orchestra players may make reservations by calling 775-883-4154. Pay in cash or check made out to "CC Symphony." Guests welcome. Photo on left: Saxophonist Rhett Bender will perform premiere of orchestral work on Feb. 24. Photo on right: Composer Carleton Macy will discuss his concerto, Duality. Friday, March 15, midday - Brief performance by the quartet in honor of Nevada Arts Day at the Legislature. The event is at The Union (restaurant, 302 N. Carson St.), and it does have an admission fee of $18 to cover the space and artist fee. This one one of several activities at The Union. Friday, March 15, 7:00 p.m. - House recital "Russian Music and Cultural Traditions"
Saturday, March 16, 5:00 p.m. - Nevada State Museum, Concert in the Round. Free. Donations accepted. Reservations are required and limited. Call 775-883-4154 for further details.